Is there such a thing as Couples Therapy for One? I didn’t use to think so…until I recently spent four days training with one of my couples therapy heroes, Michele Weiner-Davis. Now I think otherwise. What most clients don’t know is that individual therapy and couples therapy are fundamentally different, often opposite experiences. They have entirely different assumptions and approaches, and require completely different clinical skill sets. Individual therapy explores the intrapsychic realm. Individual therapy is often insight-oriented. It helps you to reflect on how you became you in the first place. What kind of childhood experiences had the most impact on you? What debt do your present day thoughts, values, beliefs, attitudes, and actions owe to your formative years? Most individual therapists believe that intrapsychic insight is the prime-mover of personal change. The premise behind conducting individual therapy is that if you only knew why you do what you do, they will then be able to change. Michele opened my eyes to the idea that conducting “Hopeful Spouse Therapy” or “Couples Therapy for One” might enable a couples therapist to concurrently confront and align with a client in ways that would be impossible during conventional couples therapy. You can let your client know how well you understand what he or she is feeling about the relationship or about the other partner. Coaching an individual spouse allows you to connect with them without alienating their partner. On the other hand, because you’re perceived as an ally, you’re at liberty to be bolder, more challenging and, at times, less balanced than would be the case if the other spouse were present. 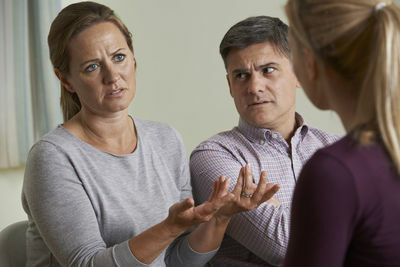 Couples therapy, on the other hand, is often preoccupied with observable behaviors and the connection, (or lack of connection), between both spouses in the present moment. Couples therapist, (especially those who are science-based) are inherently systemic thinkers. Science-based Gottman Couples Therapy sees change not primarily as an intrapsychic process. 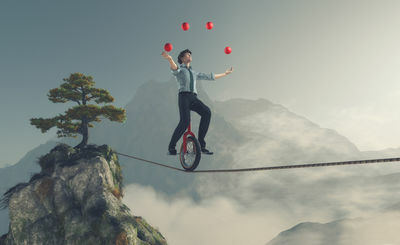 Instead, it focuses on teaching partners to recognize their toxic communication patterns and work in harmony with each other to purposefully modify their observable behavioral interactions. Here’s Where Couples Therapy for One Gets Interesting. This is where Couples Therapy for One dramatically departs from conventional individual therapy as it is currently practiced. While insight may not be unwelcome, the focus on working with a hopeful spouse is much more like coaching. Michele’s history as a leading thinker in Solution-Focused Therapy reflects this behavior-based, coaching oriented, solution-focused pragmatism. Change is like a chain reaction. She tips over the first domino, then he changes. When a woman who is dissatisfied in her relationship decides to change her method of getting through to her partner, she isn’t doing “all the work.” Assuming responsibility for creating positive change in life isn’t working harder, it’s working smarter. Recently I’ve worked with a couple in which the husband, (let’s call him Tony), had been in individual therapy for several years with a therapist for an anxiety disorder. Tony told me that he really liked his “shrink.” He was a “good dude” and talking with him helped Tony get a handle on his anxiety attacks. Tony’s therapist helped him gain insight into how his family of origin set him up for his crippling anxiety attacks. He also gave Tony some practical advice on how to manage his anxiety. Tony’s mom was a screamer, and when Tony’s wife (let’s call her Debbie) got upset with him, she also had an unfortunate tendency to raise her voice…a lot. Tony’s therapist knew that Tony was sliding into an emotional affair at work. I suppose Tony’s vivid description of exactly how often Debbie flew off the handle created a picture of a hopelessly unsympathetic wife that justified Tony’s turning to an attractive co-worker for emotional support. What’s important to note that Tony’s therapist had never even met Debbie. He had no possible basis for forming an independent assessment of Debbie’s potential for change, which I discovered during their Affair Recovery Couples Therapy Intensive to be quite significant. Also, Tony’s therapist, (as is the case with many individual therapists) never questioned the accuracy of Tony’s sad story of “bitchy Debbie”. When Debbie eventually discovered texts between Tony and his affair partner, the affair had just become sexual as well as emotional. While she considered divorce, Debbie wisely sought out couples therapy instead. Tony and Debbie worked incredibly hard during their intensive. Debbie began to see that her tendency to raise her voice and get over-emotional had a significant impact on Tony’s anxiety. She understood that her screaming when they fought fueled a lack of emotional connection, and encouraged Tony’s tendency to withdraw. Tony, in turn, learned to be less passive, and complain more directly to Debbie. They also each learned to regulate and co-regulate during disagreements. The therapist who had worked for years with Tony on his anxiety in individual therapy had no way of seeing Tony in any way other than how he presented himself, which was as a “nice guy”… charming… but acutely anxious. Unfortunately, it seemed to the therapist that Tony was married to a heartless shrew who was indifferent to Tony’s battle with crippling anxiety. Tony’s therapist did not know the extent to which Tony stonewalled Debbie, or his tendency during disagreements to become defensive, and passive-aggressive. Tony’s therapist was invested in his own notions of what might constitute Tony’s “personal growth.” He was not a systemic thinker, and he was far from marriage friendly. Of course, Tony’s therapist had no way of understanding that the reason Debbie flooded so quickly was that she had a hypersensitive amygdala due to her untreated Developmental Trauma. He was remarkably uncurious about all things Debbie. She was merely one of the villains in Tony’s anxiety narrative. Multiple research studies have observed that when a therapist treats a married client in individual therapy, the odds go up that the marriage will end up in divorce. When a couple attempts to improve their marriage by hiring two individual therapists, (one for his individual therapy and one for hers), the risk of divorce is even higher. Incredible as it may seem, his and her individual therapy results in the highest probability for divorce. What’s the Difference Between Couples Therapy for One or Individual Therapy? Here is the essential idea. Couples Therapy for One (also called Hopeful Spouse Coaching) is emphatically Marriage friendly. In Couples Therapy for One, the therapist will help you deconstruct your fights and help you to pragmatically take a different approach. The clinical emphasis is on discovering what you say and do that matters to your marriage. Couples Therapy for One is also empowering because your therapist is actively coaching you to be a better spouse, helping you to create a series of one-sided behavioral changes which typically invite a spouse to respond in kind. Unlike the disaster of “value-neutral” “growth-focused” individual therapy, new studies now show that spouses who receive critical relationship-skills training in Hopeful Spouse Coaching will see just as much improvement in their relationships as if they both were in couples therapy. The best science-based couples therapy involves teaching both spouses effective conflict management. Partners have different ways of interpreting each other’s behavior and engaging with each other. This difference inevitably invites conflict, which is typical and predictable. Good Couples therapy helps partners identify their negative cycles when they interact with each other. But Hopeful Spouse Coaching teaches a spouse to notice their own individual part in perpetuating and reinforcing negative patterns. Most importantly Couples Therapy for One teaches a spouse how to behave differently to promote lasting change with their partner. This form of coaching is inherently pragmatic; focused on noticing what works, and what doesn’t. The only similarity between individual therapy and Couples Therapy for One is that each involves only one client and one therapist. After that, they have fundamentally different approaches with drastically different values, goals, and assumptions. Couples Therapy for One is not only marriage friendly… it’s also marriage focused. Individual therapy tends to be neither. Research: Gurman, A.S., & Burton, M. (2014). Individual therapy for couple problems: Perspectives and pitfalls. Journal of Marital and Family Therapy, Vol 40, No 4, pp. 470-483. Previous Post The 1 Conflict Resolution Skill in Marriage Skill Only One of You Needs to Have Next Post Is It Ever Too Late To Save A Marriage?